This weekend’s edition of UPFRONT features my exclusive interviews with the cast of Crazy Rich Asians - Awkwafina, Ronny Chieng and Nico Santos. It’s the first US film in 25 years to feature an all-Asian cast and director. Acclaimed stage actress Dr. Yvonne Miranda Singh stops by to chat about her role in Horizon Theatre’s How Black Mothers Say I Love You. The show was written by Trey Anthony and is directed by the one and only Thomas W. Jones II. It’s playing now through August 26. 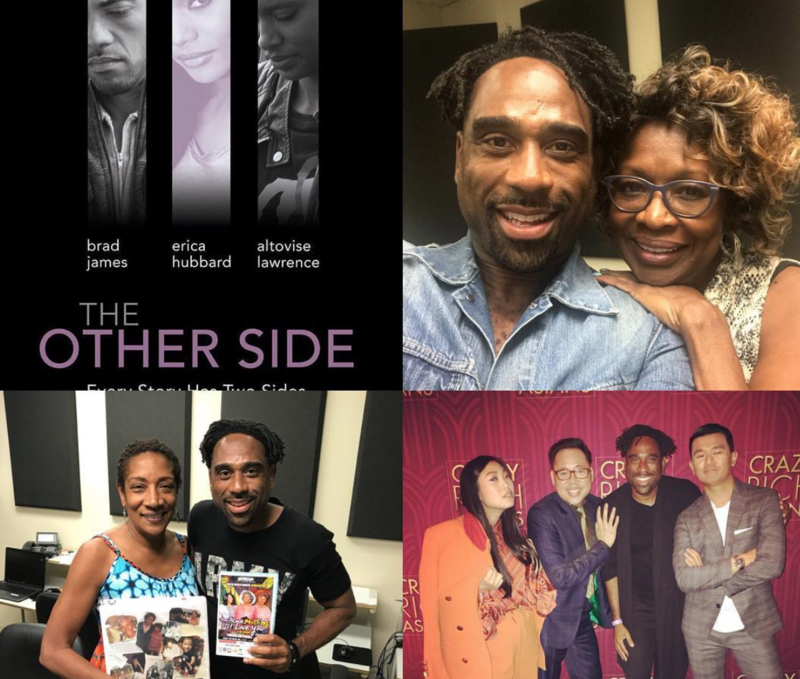 I also catch up with filmmaker and CAU alum Warren Pemberton, whose indie film The Other Side airs tomorrow night on STARZ at 8:22 p.m. Closing out the show is executive producer of the BronzeLens Film Festival—-Ms. Kathleen Bertrand. She opens up about this year’s activities including the Women Superstars Luncheon, Sunday Brunch with the Brothers and more. UPFRONT featuring the cast of 'Crazy Rich Asians,' Dr. Yvonne Miranda Singh, Warren Pemberton and BLFF's Kathleen Bertrand. This week's show is sponsored by Horizon Theatre Co. & BronzeLens Film Festival. I’ll also be celebrating the music and movies of the late Whitney Houston. Her birthday was this week and you’ll hear songs from The Bodyguard, Waiting to Exhale and The Preacher’s Wife.